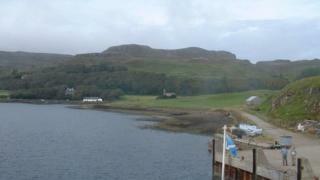 Chaidh sgeama chumhachd ath-nuadhachail a chur air bhonn gu h-oifigeil ann an Eilean Chanaigh. Tha urras leaschaidh an eilein ag ràdh gu bheil a-niste cha mhòr a h-uile dachaigh a-niste a' faighinn an cuid dealain gu lèir bho mheasgachadh de chumhachd ghaoithe agus grèine, le cùl-taic stòras bhataraidhean. Thuige seo bha eileanaich a' crochadh air gineadaireran diesel airson an cuid dealain, ach cha chuirear feum orra sin bho seo a-mach ach ann an suidheachadh èiginneach.